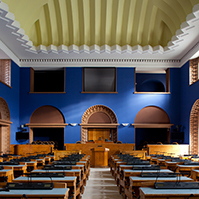 The Riigikogu passed with 82 votes in favour the Packaging Act Amendment Act (127 SE), initiated by the Estonian Green Party Faction. According to the amendment, packaging undertakings (except persons who sell packaged goods) are required to guarantee the recovery of the packaging waste generated from the packaging of the goods packaged thereby and from imported packaged goods to the extent of at least 60 % annually and by way of recycling, at least 35 % annually of the total mass of packaging waste; and at least 15 % annually for the total mass of each type of packaging, as of 1 January 2009. 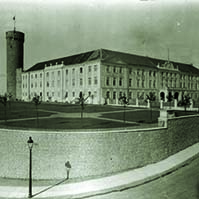 Nobody voted against the Act, one member of the Riigikogu abstained. The National Audit Office Act Amendment Act (110 SE), initiated by the Estonian Centre Party Faction, was passed with 88 votes in favour. The amendment eliminates the discriminating age limit of 65 years for working in the office of the Auditor General. Nobody voted against the Act and nobody abstained. The Act on Amendments to the Veterinary Activities Organisation Act and Associated Acts (147 SE), initiated by the Government, was passed with 88 votes in favour. This Act specifies the principles for calculating the amount of supervision fee and the rates of supervision fee arising from the Regulation of the European Parliament and of the Council which establishes the harmonised framework for organisation of official controls at the Community level. Another significant amendment is connected with reorganisations in the activities of veterinary laboratories. The Act provides the procedure for authorising of laboratories for diagnosing infectious animal diseases, and the current procedure for issuing of activity licences is repealed. The Infectious Animal Disease Control Act, the State Fees Act and the Plant Propagation and Plant Variety Rights Act are also amended in connection with this Act. This Act enters into force on 1 January 2008, § 40 of the Act enters into force on 1 April 2008. Nobody voted against the Act, one member of the Riigikogu abstained. The Bill on Amendments to the Weapons Act and the State Fees Act (97 SE), initiated by the Government, was passed with 88 votes in favour. The amendments regulate the state fee rates for weapons-related acts such that they correspond to actual costs incurred by the state. The disproportionately high state fees for certain weapons-related acts are decreased by the Act. Special permits for importing and exporting, or pre-permits and permits for transmitting weapons or ammunition will be issued and registered by the Police Board, instead of the Personal Protection Service. Nobody voted against the Act and nobody abstained. The Act on Amendments to the State Fees Act, the Land Valuation Act and the Land Cadastre Act (154 SE), initiated by the Government, was passed with 83 votes in favour. 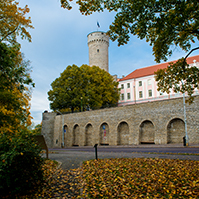 The main objective of the Act is to bring the regulations concerning visa fees and exemption from fees for visa applications as provided in the State Fees Act into conformity with the European Union law which is going to become obligatory for Estonia upon accession to the Schengen common visa area in December 2007. The current fee exemption for persons of 6 to 18 years of age is abolished, except for pupils and students travelling for study purposes. As of the accession to the Schengen visa area, only the visa applications of children of less than 6 years of age may be processed without charging a fee. The secondary objective of the Act is the establishing of the fees charged for Land Board acts in the State Fees Act and introducing of the obligation of payment of the fee into the Acts specifically regulating the performance of the acts, as well as simplification and enhancing the transparency of the calculation of the state fee charged for issuing of copies or extracts from the transactions database. The Land Cadastre Act is amended with the aim of regulating the issues relating to the transactions database. 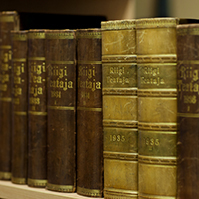 Clauses 1 1), 7)–14) and 20) and §§ 2 and 3 of the Act enter into force on the day following the day of publication in the Riigi Teataja, however not earlier than on 1 January 2008. 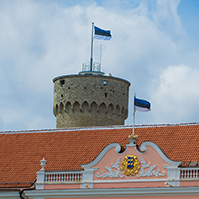 Clauses 1 2)–6) and 15)–19) of the Act enter into force on the day following the day of publication in the Riigi Teataja, however not earlier than upon Estonia’s full accession to the European Union common visa area. Nobody voted against the Act and nobody abstained. Also, the deliberation of the implementation of the Estonian civil society concept and the development of civil society as a matter of significant national importance was held in the Riigikogu today. Reports were by the Minister of Regional Affairs Vallo Reimaa, the Chairman of the Constitutional Committee Väino Linde and the Chairman of the Civil Society Support Group Urmas Reinsalu. In his report, Reimaa pointed to the major deficiencies of the current situation, namely, on the one hand, citizens associations are dissatisfied with the state not having communicated at a level of sufficient height and coordination. More often than not, involvement mechanisms tend to be too formal and notification is left to the last moment which results in many opportunities going unused. In many cases, the awareness of officials and ministries leaves much to desire, Reimaa claimed. Reimaa: “On the other hand, the analyses also bring forth the most recurrent problems of the non-profit sector: insufficient strategic planning and structuring of activities, insufficient knowledge about accounting, reporting and legislation, insufficient skills for developing services and goods needed in the market and insufficient selling ability, ageing and fatigue of leaders, slow growth of young and new members particularly in rural areas, problems in involvement and willingness to co-operate, weakness as partners to local government and state authorities, and, a factor which is very often mentioned, that of the activities of the associations being mainly financed from supports to projects.” Reimaa also gave an overview of the general objectives in the 2007–2010 development plan for supporting of the Estonian civil society development concept. 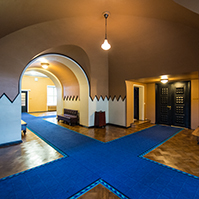 Comments were also presented by Members of the Riigikogu Karel Rüütli, Paul-Eerik Rummo, Toomas Trapido and Aadu Must.